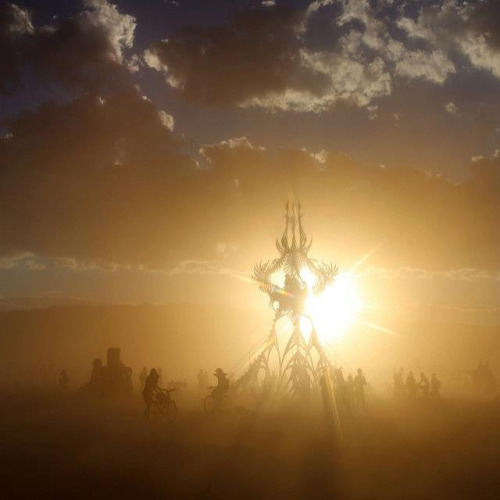 2012 - Commissioned by Burning Man. Installed at Burning Man, 2012 at Electric Daisy Carnival Las Vegas, 2013; The Ghost Ship Halloween Party on Treasure Island, San Fransisco, 2012. 2014 - Commissioned for the international tour of the Mysteryland Festival. Installed in Bethel Woods, NY (Woodstock Festival grounds), Amsterdam, the Netherlands, and Santiago, Chile. To be installed at the Heart & Mind Festival in the Catskills New York State in June 2016, and at the 50th anniversary of the Woodstock Festival in 2017 at the Bethel Woods Center for the Arts. Available for exhibition and purchase. 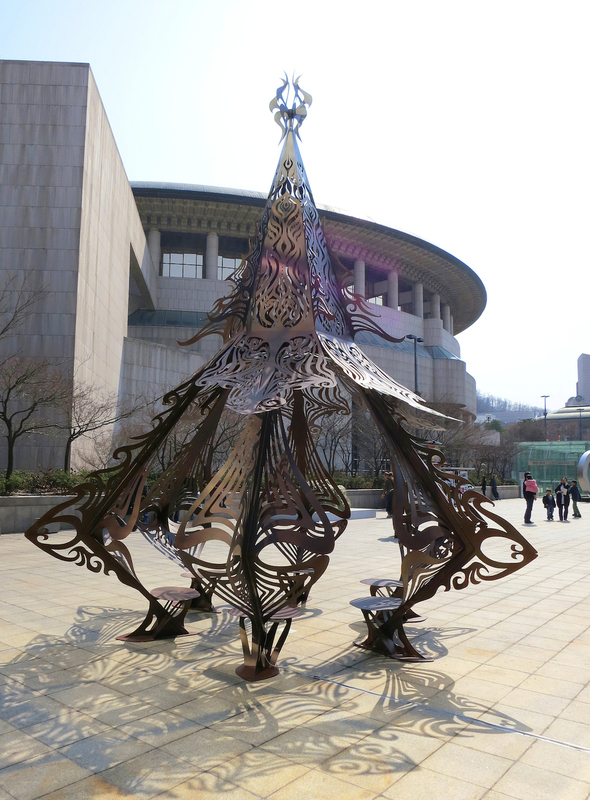 Installed at the Hanganam Art Museum in Seoul, S. Korea, and currently part of the permanent collection of the Art Valley Sculpture Park in Songchu, South Korea. 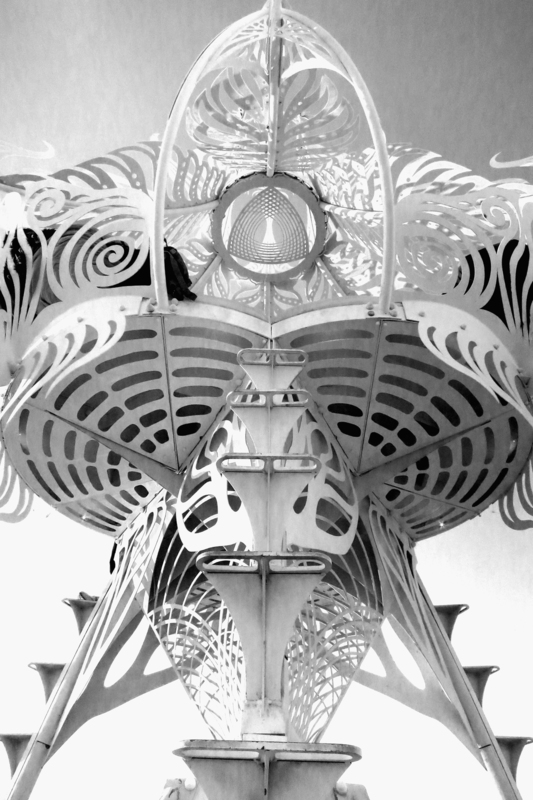 2010 - Commissioned by Burning Man. 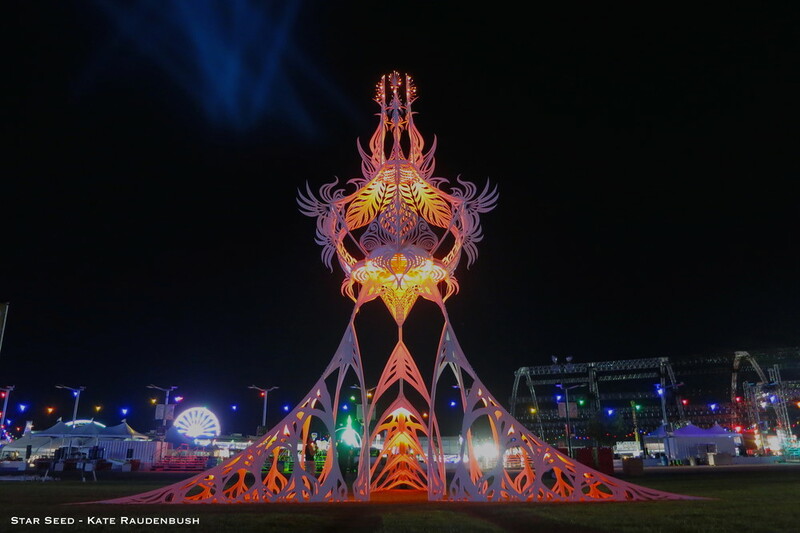 Installed at Burning Man in 2010, in San Fransisco at Patricia's Green Park from 2012-2014, at the Symbiosis Gathering festival CA in 2014, and at the Ghost Ship Halloween party in 2014. 2009 - Commissioned by the All Points West Festival NY/Golden Voice producers. Installed at All Points West in 2009, at Burning Man 2009, Escape to New York festival 2011, Maker Faire NY 2012, Virgin Mobile FreeFest 2012 & 2013, Electric Daisy Carnival NY 2013. Purchased by a private collector 2014. 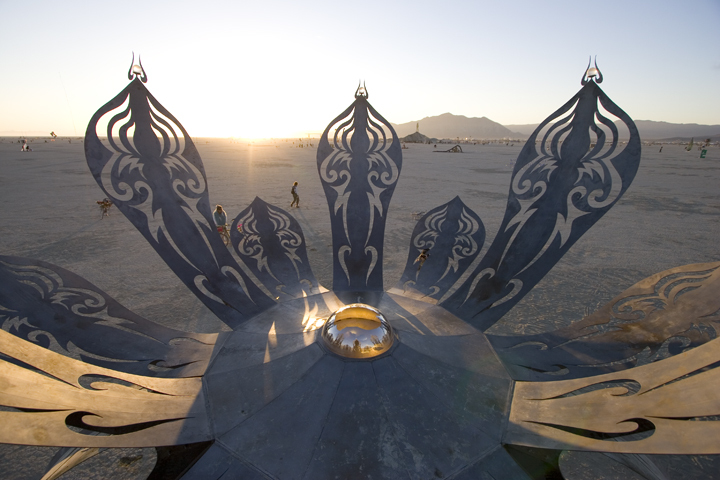 2008 - Commissioned by Burning Man. 2007 - Commissioned by Burning Man. 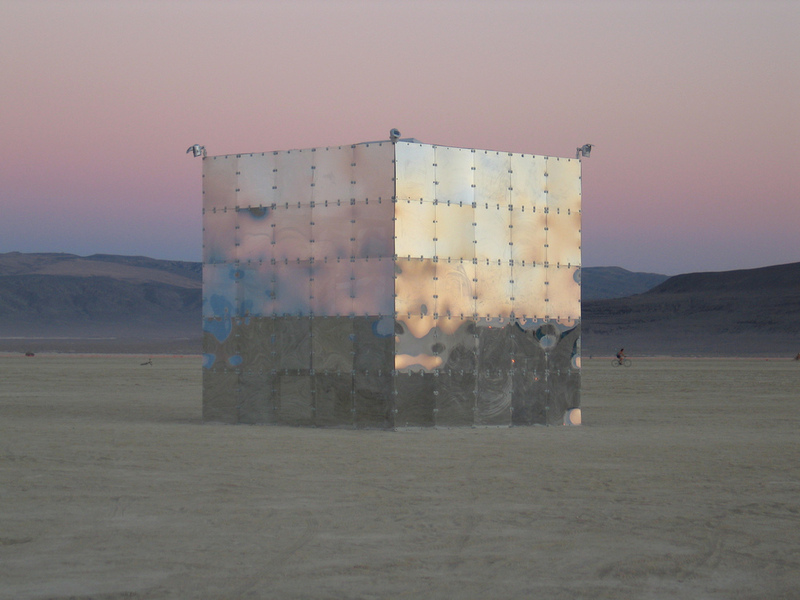 Installed at Burning Man in 2007, Purchased for the permanent collection of the Nevada Museum of Art, Reno NV in 2007, the first artwork to go from Burning Man to a US museum collection. 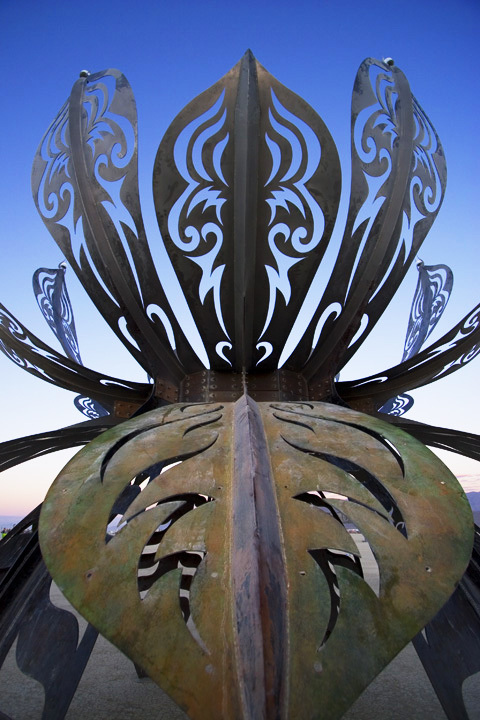 2006 - Commissioned by Burning Man. Plasma cut steel, structural steel, acrylic mirror, l.e.d. 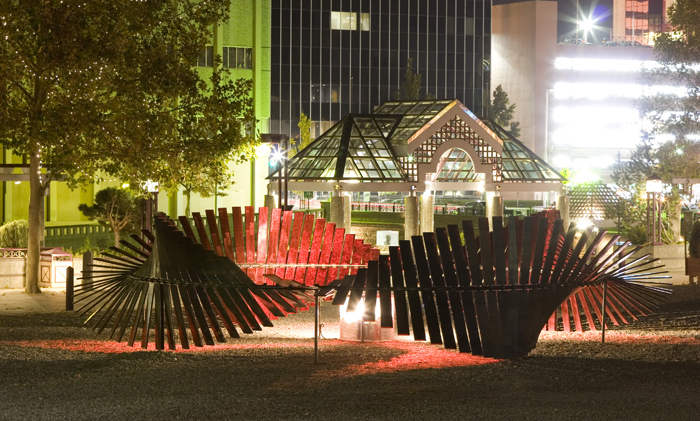 lighting sequences, central fire cauldron (2006)/ central spotlights (2010). 2005 - Commissioned by Burning Man. Laser cut acrylic mirror, structural wood frame interior, l.e.d. lighting, 4 -foot long wind chimes, steel sheet. 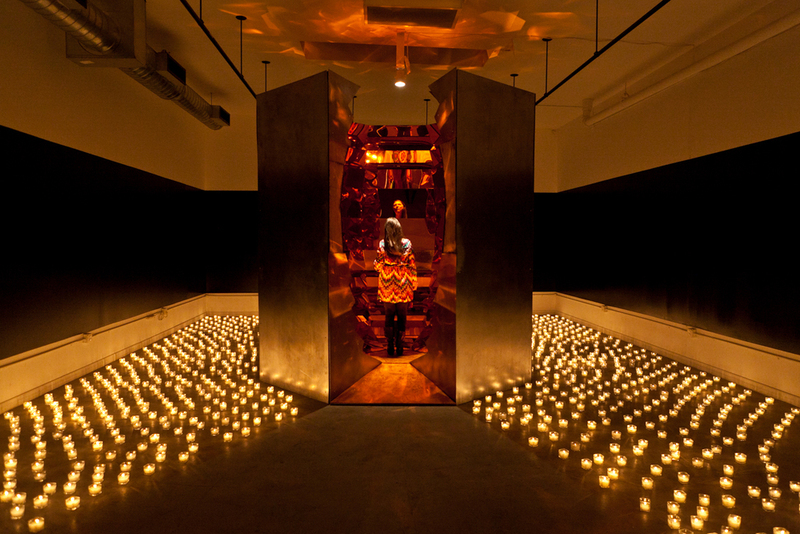 Installed at Burning Man in 2005, NYC Decompression 2005, Restored with steel sides for: Virgin Mobile FreeFest, MD 2013, & Solo Show at See/Me Gallery, Long Island City NYC 2015. 2004 - Commissioned by Burning Man. Double-sided acrylic mirror, structural aluminum, 20" disco ball, carpeted interior, l.e.d. lighting, solar power. Installed at Burning Man in 2004, NYC Burning Man Decompression 2004.